Gaye Zimmerman has been singing for children and adults for more than thirty years and hopes to continue for another thirty! Her early training was at York University/Fine Arts and the new School of Theatre. She works in the Toronto school system providing a musical education and experience for pre-schoolers and their families/caretaker. 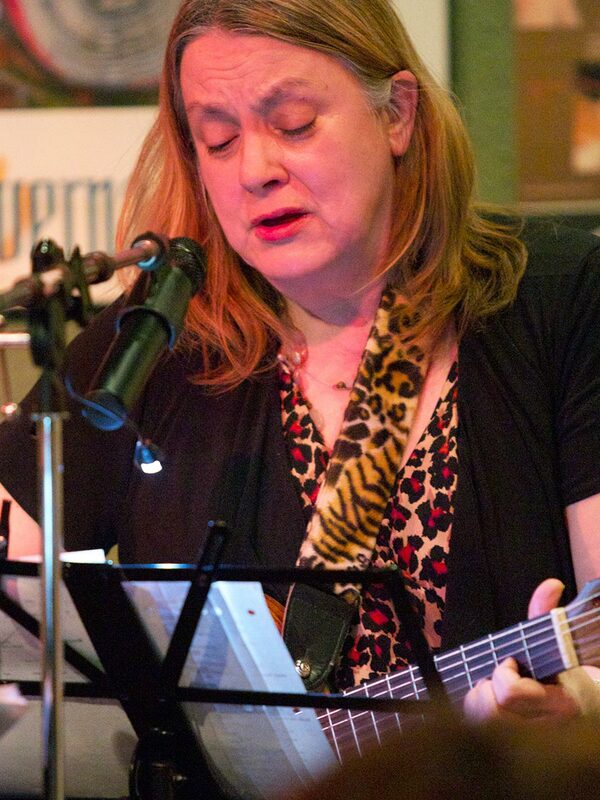 For the last ten years she has been happy to be a part of the big Band Gordon’s Acoustic Living Room playing rhythm guitar, singing and song writing. An extra bonus has been learning the traditional Scottish pipe tunes brought into the band by fellow member Rory. She is delighted to be extending her repertoire in Scottish music and playing guitar and singing with Caledon County.